Zeke is a full-time voice actor and only the second person ever chosen to be mentored by Nancy to teach here. 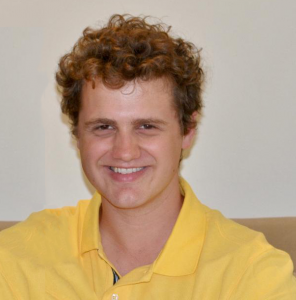 Growing up the son of two professors, Zeke was raised to be a lifelong student. He double-majored in Political Science and Spanish, earning his BA from Ohio University. He went from coaching youth soccer to teaching English in China to acting to teaching VoiceOver for Nancy at Braintracksaudio.com. Zeke learned Spanish, German, and Russian in college and mastered the language of Advertising from Nancy. Studying with Nancy was the first big step Zeke took in his voice acting journey. This allowed him to leave behind the world of sustainable Black Soldier Fly farming to focus on Voice Over. 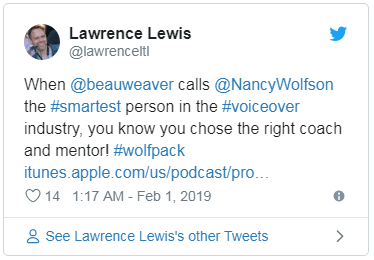 He is now guiding other Braintracksaudio students through Nancy’s coursework to realize their own Voice Over dreams. Some of Zeke’s recent voiceover bookings include: US Bank, Wisconsin EDC, and national campaigns for UBER.